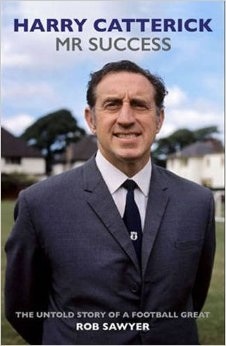 During Everton’s celebratory dinner after winning the League title in 1963, Harry Catterick, the club’s manager, mentioned to Roy Vernon, one of his stellar players, that he was considering writing an autobiography. Catterick never did publish his memoir, but his manuscript from the mid-1960s provided invaluable material for a fascinating new biography, Harry Catterick: The Untold Story of a Football Great, written by Rob Sawyer with the intention of vaulting his subject above “the status of a footnote in the list of great managers”. The dinner conversation between Catterick and Vernon is related in Alex Young’s book, The Golden Vision, and the anecdote exemplifies the ambivalence between Catterick and many of his players. “Pro-Catt” and “Anti-Catt” factions often divided the dressing room, although, according to Sawyer’s extensive research, the enigmatic, unsentimental Catterick had a kind side to his nature away from the cut-and-thrust of business. The author has Everton in his DNA. His great-grandfather, W.J. Sawyer, was the club’s honorary secretary-manager at the end of the First World War and played a part in “Dixie” Dean’s transfer to Everton from Tranmere Rovers in 1925. It seems only fair to acknowledge that a “very distant” relative, Eric Sawyer, was the financial driving force on the Liverpool board in the 1960s. Win, lose, or draw, Catterick’s visage usually suggested that he had an appointment with the bailiff. “I’m a miserable looking beggar at the best of times,” he admitted, which is why his arch rival Bill Shankly referred to him as “Happy Harry”. Shankly, Liverpool’s loquacious king of the one-liner, who raised his club from the Second Division and challenged Everton’s Merseyside dominance, was one of the reasons why the introverted Catterick looked miserable. Another reason for the Everton manager’s haunted expression was the pressure exerted by his uncompromising boss, John Moores, whose Littlewoods empire made Everton the wealthiest football club in the country in the 1960s. Moores was also a major shareholder in Liverpool – where the aforementioned Eric Sawyer was his representative. Moores, who famously sacked Catterick’s predecessor, Johnny Carey, in a London taxi, would frequently summon Catterick to his home at Freshfield on Sundays for a review, or inquest, on the previous day’s match. Catterick, in his domain, could be as ruthless and demanding as Moores and never courted popularity among his players, the spectators, or with the media. His relationship with the Press deteriorated further after an investigation by The People into match fixing resulted in a prison sentence and ban from football for Tony Kay, the tough, skilful midfield driving force he bought for £80,000 from Sheffield Wednesday, the club Catterick managed prior to Everton. 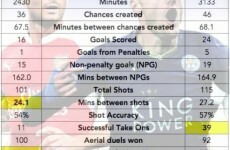 Kay’s offence was committed while playing for Wednesday, and Catterick was bitter at losing both the player and the transfer fee paid for him. The book is as well balanced as Catterick’s magnificent League championship team of 1969-70, propelled by the breathtaking midfield trio of Howard Kendall, Colin Harvey and Alan Ball. The author was born during that season and, at the age of 14, he was at Goodison Park with his father and sister on 9 March 1985, when Catterick had a second heart attack and died in the directors’ box. Sawyer’s curiosity has revived interest in the era of “The Catt”.